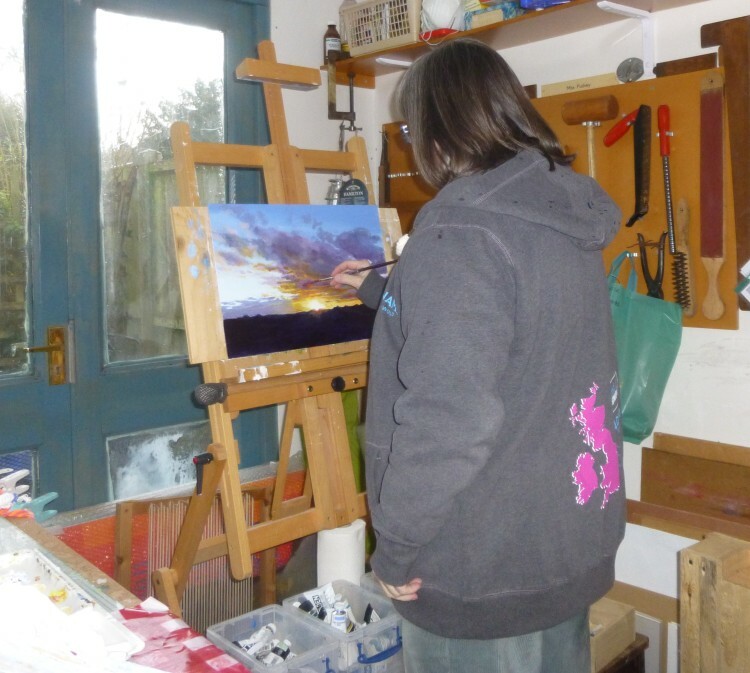 Here I am in the studio earlier today, putting the final touches to the last of the Peddars Way series of paintings. This one is called Peddars Way V: Sunset. This will be up on the new Gallery 2016 page very shortly. Jill and I saw this lovely sunset across the fields on the afternoon that we walked the last section of the Peddars Way, out onto the beach at Holme next the Sea. We were walking back across the fields, and it was getting dark quite fast – it was in November and the afternoons are short! – when the sinking sun lit up the clouds for a few moments and I was able to quickly take a few photographs on which I have based the painting.